SAN MARCOS – Since the age of 17, Lydia Saldaña knew she had a passion for storytelling. Over 25 years later, her hunger for storytelling molded her life and career in ways she never expected. Saldaña pushed her way into her first job at the age of 17, becoming the youngest intern for KSAT 12 news in San Antonio. 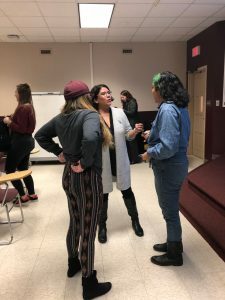 While going to school at Trinity University, she hosted a radio show from 2-6 a.m. until she needed more to fulfill her desire to tell people’s stories. 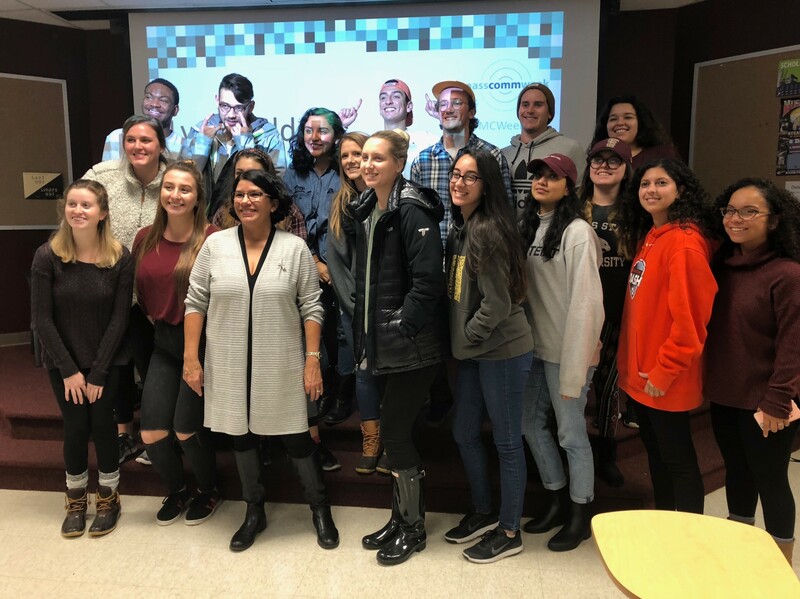 From this experience, Saldaña was able to network with the news director for channel 36 in Austin, landing her first job in TV news. She credits earning her degree to her boss at the station, as he worked with her so she could go back to school. After finishing her degree, Saldaña moved back-and-forth between Dallas and Austin, working for various TV news and radio stations. In 1990, Saldaña found herself unemployed in Austin. During this time, she stumbled across a video production job for Texas Parks and Wildlife; a job that she would have for the rest of her life, even after retirement. Saldaña worked at Texas Parks and Wildlife for 23 years until she retired in 2013. Post-retirement, Saldaña became the communications director for the Texas Parks and Wildlife Foundation, creating campaigns to influence people to enjoy nature. She spoke at Mass Comm Week, presenting We Will Not Be Tamed, the most recent campaign she helped develop. Students filled the room, leaving no seats empty. They were able to get a behind-the-scenes look at a campaign from start to finish, as well as ask questions regarding the hardships faced by a once-aspiring journalist. Saldaña said everyone may not know where they are going at this point in time, but with a solid foundation and skills to support it, life will take a person places he or she may have never thought to go.